The Origin of the Expression "The Big Cheese"
Joh asks: Why is someone in charge called “the big cheese”? It’s amazing how many English idioms contain food references and cheese has proven to be immensely popular when it comes to the English language. 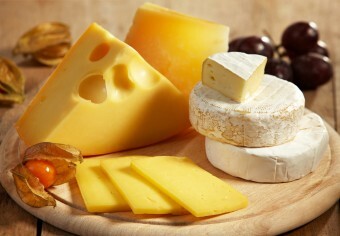 For example, one may be “cheesed off”, meaning that they are miserable, annoyed, or angered. One may also refer to something as being “cheesy” in order to label it as cheap, overly sentimental, unsubtle, or blatantly inauthentic. The first reference to someone being associated with cheese was recorded in London in the 19th Century. People would refer to both others and tangible objects by saying, “He’s the cheese”; “It’s quite the cheese”; or “That’s just the cheese.” All of these phrases both implied and invoked a sense that the person or thing being praised was good, first-rate, genuine or advantageous. The question is, where did this term come from? Further, when did it become “big” and why does it imply that cheese is synonymous with quality and power? Sir Henry Yule was a Scottish Orientalist who spent the majority of his adult life abroad. During his travels, he co-authored the now-infamous Anglo-Indian dictionary Hobson-Jobson with Arthur C. Burnell, which was published in 1886. The dictionary contained colloquialisms and phrases that had been born out of a mixture between English and the variety of languages that were spoken in India at the time. The title itself is an example of the way in which the British corrupted Indian words and adapted them into their own everyday speech. The meanings of these words were generally altered and bastardized. One such word that appeared in Hobson-Jobson was “chiz”, which roughly translated to mean “thing”. The phrase was incredibly common amongst Anglo-Indians and was used to describe something as genuine or positive. In early 19th century London, the expression ‘the real thing’ was in wide spread use in order to describe something in a positive fashion. Once returnees from India were heard using the phrase “the real chiz”, the two expressions merged. Over time, the unfamiliar and foreign “chiz” morphed into the more recognizable “cheese”. Some even theorize that the word “chiz” may have been misheard by native Englishmen and simply assumed to be “cheese” right from the start. Whatever the case, the idiom evolved again when it crossed the Atlantic in the early 20th century. This time, the cheese became “big”. As to why, nobody knows for sure, and it’s even possible the previous “cheese” expressions had nothing to do with the “big cheese”. Some speculate that the expression was in reference to the 561 kg (1,235 pound) Mammoth Cheese given to Thomas Jefferson in 1802 during his presidency, but this seems unlikely. Certainly if this was the case, one would think the expression would have become popular much sooner than it did. Further, “the Big Cheese” was often used not just to describe the most important person in a group, but also was often used in a derogatory sense. In fact, many people who were considered to be “Big Cheeses” were often self-important and contemptible individuals that held little respect of others. So this doesn’t quite fit the whole Thomas Jefferson narrative. The cheese will be on exhibition at the National Dairy Show at Chicago next week. President Taft will visit the show the morning of Monday, October thirtieth, and after his address he will be invited to cut the big cheese, which will then be distributed in small lots to visitors at the show. Within a decade of this, the “big cheese” referring to an important person (sometimes self-important) started to pop up, and quickly caught on in popularity from there. Origin of “Cakewalk”: This term is thought to originate from a 19th century African-American game. People would walk in a procession of pairs around a cake at social gatherings. The most graceful pair would win the cake as a prize. That said, the first documented instance of “cakewalk” referring to something easy to do popped up about a decade before the first known references to the literal cakewalk game. Nevertheless, most etymologists think the game name is the source of the expression. Origin of “Sowing Your Wild Oats”: Avena fatua, a species of grass in the oat genus, has been referred to as ‘wild oats’ for centuries. Though it’s thought to be the precursor to cultivated oats, farmers have engaged in a long tradition of trying to get rid of it. This is because it’s useless as a cereal crop, hard to separate from cultivated oats and difficult to remove from fields. Therefore, the literal practice of sowing wild oats is a useless endeavour. As such, the phrase is figuratively applied to people engaging in idle pastimes. The term also has a sexual connotation, in that a young man sowing his wild oats is spreading seed without purpose. This idiom was first recorded in English in 1542 by Protestant Clergyman Thomas Becon. Egg Someone On: Surprisingly enough, this phrase has nothing to do with edible eggs. The ‘egg’ that is being referred to is a verb meaning ‘to goad on’, which was derived from the Old Norse word eggja. This derivation first appeared in English in roughly 1200 A.D. and the phrase itself was initially recorded in the mid 16th century. Origin of “Cream of the Crop”: This comes from previous expressions referencing the cream part of milk being the best part. As early as the 17th century, this gave us expressions like “cream of the market” and “cream of the jest”. So things that are referred to as the ‘cream of the crop’ are considered to be of the highest quality. This phrase is also believed to have links to the similar meaning French phrase ‘crème de la crème’, meaning ‘best of the best’ which was adopted into the English vernacular in the 19th century, shortly before “cream of the crop” became popular.